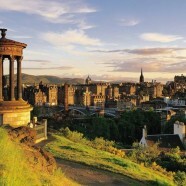 The 14th European Workshop on Astrobiology will take place in Edinburgh this October 13–16th. The focus of the conference is ‘Signatures of Life’, spanning fossils to trace gasses and other ways in which extant and extinct life can be detected on Earth and beyond. All other astrobiology topics are welcome. Registration and abstract submission is now open. Applications from early career researchers are particularly welcome. Register for the conference here.